Sidhartha, Gerard, and Alexandra, on receiving National Merit Scholars certificate of Merit. This puts them in an elite group of scholars across the country. 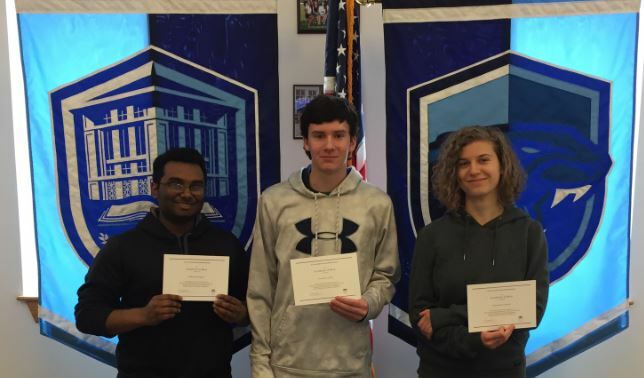 Congratulations to Franklin Panthers Sidhartha Chaganti, Alexandra Krylova, and Gerard Collins for earning the National Merit Scholars certificate. The National Merit Scholarship program is an academic competition managed by The National Merit Scholarship Corporation, established in 1955. Approximately 16,000 high school students, less than 1%, compete as National Merit semi-finalists, but only 7,500 students are acclaimed as National Merit Scholars. To be eligible, a student must take PSAT/NMSQT (Preliminary SAT/National Merit Scholarship Qualifying Test), along with other requirements such as completing all four years of high school. 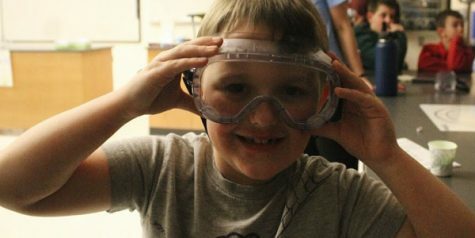 The Scholarship program views scores based on states, so each student has an equivalent chance at winning. The National Merit cutoff scores most likely change every year. For students currently applying for colleges, Alexandra Krylova, a senior at FHS and a National Merit Scholar advises, “I think spending a good amount of time researching scholarship opportunities like this one is very important, especially because many of them have deadlines.” The National Merit Scholarship awards students with $2,500. Many colleges invest in this corporation, some also provide full rides for National Merit winners.